I thought they already took the club co-efficient (over the last 5 seasons) ahead of the country co-efficient? It’s only if the country’s is higher that it applies. The last sentence of the article ‘And not just recent years’ hasn’t a hope in Hell of becoming a factor. None whatsoever. Quoting myself, poor form, I know. I just went and checked and I am correct. You get your CLUB co-efficient over a five year period. If your Association/Country co-efficient is better then you get that (as has happened with Rangers). There is no chance that will change dramatically - though there has been talk of adding a ‘small amount’ to the team co-efficient for previous winners. That’s miles and miles away from automatic entry though and could, of course, also help - slightly - our own co-efficient. Clubs' coefficients are determined EITHER the sum of all points won in the previous five years OR the association coefficient over the same period, WHICHEVER IS THE HIGHER (under a new system introduced for 2018/19 onwards). Repeated failure of other clubs? Have they not been on their own for 7 odd years now? Exactly, if the Celtic were that good they would not fear the 4 qualifying rounds. Their record in Europe is dreadful in the recret past, even Piggery Park which used to be a bit of a fortress is no longer a stronghold. Other that the sellout crowds and atmospere, just like ourselves, what actually would Celtic bring to the top table of European football other than a couple of easy games for their opponents. Granted the are past winners but to continually bring up something that happened more than half a century ago is embarrassing, football has changed do much since those days. Agreed. The notion having won a tournament over forty years ago should have any bearing on you getting automatic qualification now is too preposterous to consider - even for UEFA. But you’re right, that should have no bearing. UEFA want the group stages to be competitive or else people will switch off. Celtic getting there only to be absolute cannon fodder for the real contenders does not benefit the prestige of the tourney. They get the easiest route possible but they simply aren’t good enough for that level of football. More like Peter Lawwell pesters Ajax into saying something and giving him a polite %^*& off. Every nation under UEFA get shat on to accommodate 'The Big Five'. So on that basis alone. - No chance! I think they’re pushing that any ex winners of the tournament who get a European Place don’t need to qualify and are parachuted right in. Supposedly been Liewells agenda all along. It’s perfect for them in all honesty. If they win the league they’re guaranteed the CL money no matter what, but when we win the league we’ll have the 4 rounds of qualifying. They've never won the Champions League so how does this help them? They can't be counting the old European cup surley. It's not pish at all. We need to be doing all we can to change the champions league format as well and if that means bridging the divide on this particular issue then so be it. If you want to see Rangers truly compete on the European stage again it may well depend on it. I cant say i disagree. The clubs coefficient should be the only factor in how many qualifiers you have to play. The manchester season, even tho we were ranked 46th out of all teams in Europe by coefficient, we still had to play 2 qualifiers for the champs league that year. The top 16 champs league qualifiers should go into the groups with the same for the Uefa. That could mean a team ranked 46th would play 1 qualifier to get into the groups. The whole country coefficient makes no sense, why should what we do in Europe give others a boost and what they do hold us back? It’s UEFA who count it as the same. Not a chance they are going to wave a club through and guarantee them tens of millions of pounds, on the back of the fact they won a tournament, which bears no resemblance to the current competition, over half a century ago. Nor will clubs from the major leagues tolerate a bigger competition. Everything before the last 16 is just an irritation to them as it is. Bottom line is, unless there is big money to be made from a change of rules or format, the people who matter ain't going to be interested. In that respect, Celtic are an irrelevance. So seperate entity fc, wish to take on the history, of the former seperate entity fc in the name of the club that is celtic to gain an unfair advantage in the current CL set up. So if current seperate entity fc wish to take on anything that occurred in the past of seperate entity fc, then surely they must also take on any misdemeanours that seperate entity fc also accumulated in the past. Correct ? M_L only 1 entity and back. That sum it up ? Most important thing for Lawwell/them is simply getting into the group and banking the £20-30m income. They would quite happily accept finishing bottom of the group every season from now till the end of time if they were guaranteed that money year after year. Was hoping someone would post this as that's what i was thinking. It would probably guarantee them winning the the league for all time with the players they could afford to buy then probably flog for decent profit. They would also, all likelihood, be able to entice the best of the young scottish talent to their harem with the promise of fame & fortune as well. All sounds fairly depressing but the paedo harbourers are trying to kill any kind of competition which seems the opposite of sporting integrity. Ftr i don't think that this will ever happen. Either us or them made the group stages (or better) regularly until they orchestrated a campaign to try and kill us off. It's just like they hypocritical cunts to complain about the co-efficient while happily lapping up the CL money uncontested. Finding ways for smaller nations´ teams to have more realistic access to the CL is a good thing and will hopefully benefit Rangers soon. Getting in because you won the EC nearly 52 years ago is something completely different if this is what´s being suggested. 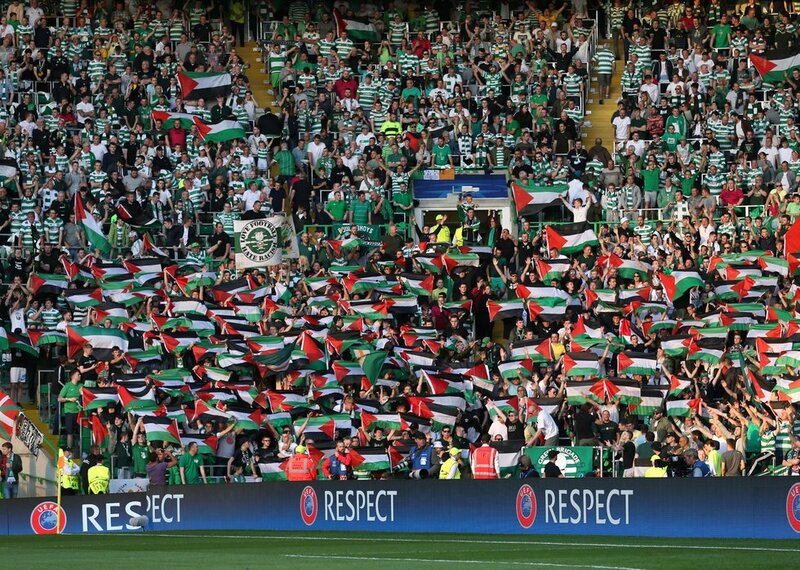 Ajax will never team up with them their fans would never allow it so file under fake news .Ajax = jews Septic = anybody who hates jews. The scum were behind a proposal around 1993 that all former winners of the European Cup should get a bye to the Champions League for good. They really do have no shame (though we all knew that). This has as much chance of going through as that did. It was AEK that put them out, not a team from England, Spain or Italy. Get over it you smelly gypo cunts and get there on merit. Its just the usual from these bastards, begging for favours. If its not the refs it's the governing bodies. Thank god it's a stupid proposal that will go nowhere. Official club twitter: Cruising in the Capital.